​Wendy J. Tisch was an exceptionally talented pianist as a child, winning a state-wide piano competition in New Jersey and was rewarded with a recital in Carnegie Hall on her 10th birthday. She received a Bachelor of Arts Degree in music followed by a degree in law. When her son Alex was born, she returned to the classical music she loved and was a devoted piano teacher for over 20 years. Wendy was very active in the Schubert Club. She loved teaching the piano to children, and she loved playing the piano. 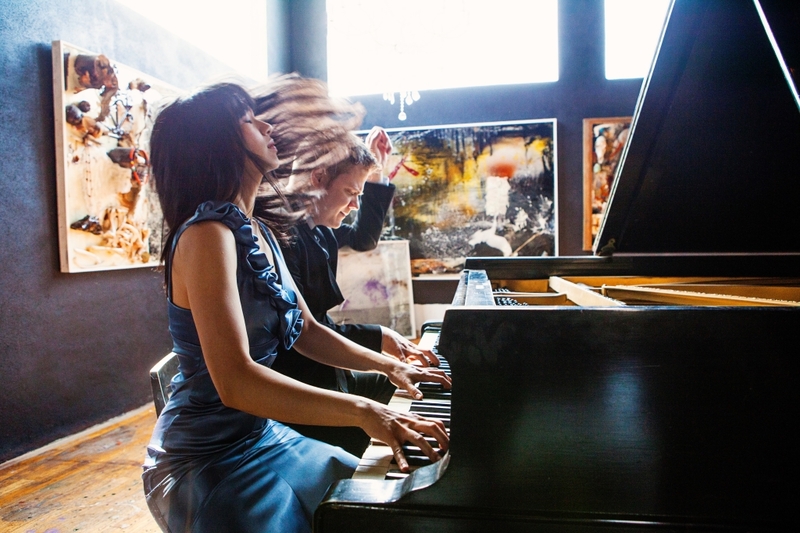 After her passing in 2012, her husband Richard has entrusted the Schubert Club to present a concert with a world class pianist each year to honor her memory and to give people the opportunity to hear the most accomplished pianists of our time. Please be advised, children under 6 will not be admitted. There are no additional fees when purchasing tickets online. Tickets will also be on sale at the door - cash or check only. There are no assigned seats. It is all open seating. Cole Hall is a small auditorium which has excellent acoustics and sight lines. Doors will open at 6:30 for ticket purchase and at 7:00 for seating. The Schubert Club is a 501 C3 organization. If you are making a contribution, checks may be made out to The Schubert Club of Fairfield County, with "Wendy Tisch Memorial Fund" in the memo line. Please note how you wish to be listed in the program. Contributions to the Wendy Tisch Memorial Fund are fully deductible. No goods or services will be provided for this contribution. A letter of acknowledgment will be sent to you.